This morning, members of Congress had a confidential briefing about suspected Russian hacking. We don’t know what exactly was said, obviously, but Democratic members emerged furiously angry, yelling about FBI director James Comey and darkly promising the public will hear more later. So that’s reassuring! “I was non-judgmental until the last 15 minutes. I no longer have that confidence in him,” Rep. Tim Walz (D-Minn.), ranking member of the Veterans Affairs Committee, said as he left the meeting in the Capitol. Rep. Elijah Cummings (Md. ), senior Democrat on the House Oversight and Government Reform Committee, delivered a similar condemnation. “I’m extremely concerned — extremely,” he said. “I’ll just — I’m very angry,” echoed Rep. Mark Takano (D-Calif.). None of that is, uh, very specific. One Congresswoman is now calling for an independent commission on the hacking allegations, suggesting that she thinks the FBI can’t be trusted to handle the investigation. It would certainly be nice to know what the hell is going on here. In the meantime, the Department of Justice announced yesterday that they’re investigating how the FBI and Comey handled the investigation into Hillary Clinton’s emails. Living in a poorly-written spy thriller is, frankly, getting kind of stressful. In that earlier hearing, Comey said he would “never comment” on a potential FBIinvestigation “in an open forum like this”, raising expectations among some attendees of Friday’s briefing that Comey would put the issue to rest in a classified setting. One source in the meeting said Comey would not answer “basic questions” about the FBI’s current investigative activities. 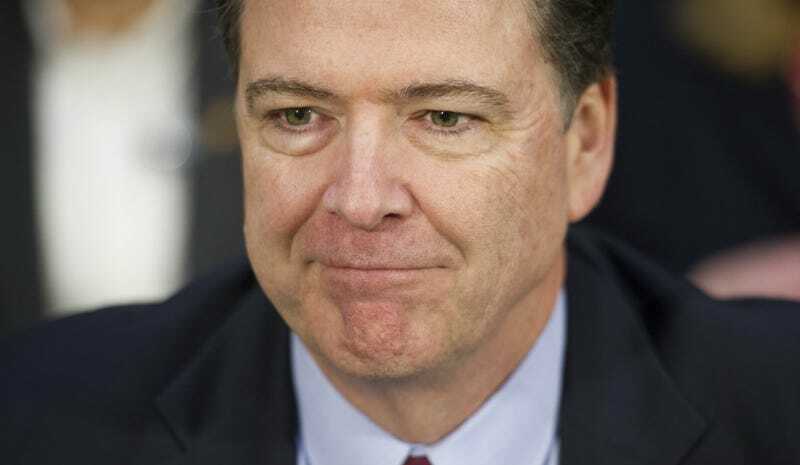 The FBI chief was grilled “over and over again”, according to the source, about his standards for acknowledging FBI investigations, with legislators repeatedly bringing up Comey’s dramatic public confirmation that the bureau was revisiting classification issues with Hillary Clinton’s private email server days before the election, as well as his summer press conference announcing that he would not seek indictment.